She is the best known Jewish Holocaust victim, but also the most abused. Anne Frank has probably become the best known Jewish person murdered during the Shoah. Her memory is also one of the most abused. This maltreatment has a long history. New examples emerge frequently. One among many: in January 2018 the Italian first division soccer club Lazio was fined 50 000 Euro after supporters displayed anti-Semitic Anne Frank stickers before a game in October 2017. The Anne Frank House in Amsterdam has decades ago on many occasions used her name for political purposes which had nothing to do with honoring her memory. Dutch journalist, Elma Verhey, commented on the role of the Anne Frank Foundation in 1995: “Not all Dutchmen find it fitting that the Anne Frank House has developed into one of the most important tourist attractions of Amsterdam. 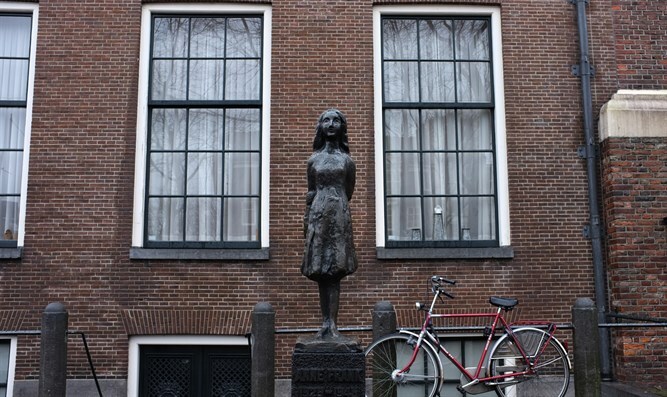 Many Dutch Jews avoid the Anne Frank House because of some of the myths created by her diary. 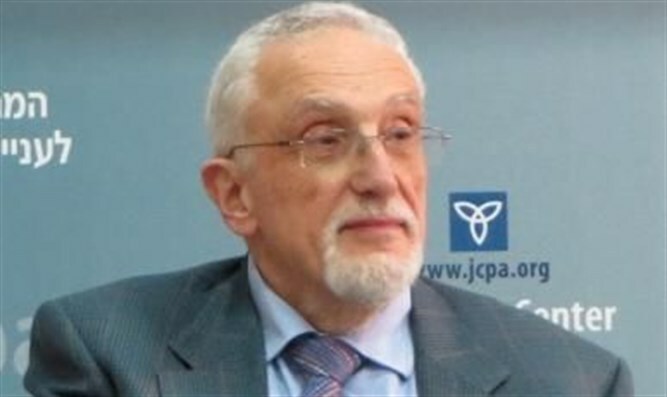 Moreover, there has been concern that the Foundation has in the past paid more attention to a handful of neo-Nazis in Germany, and the plight of the Palestinians, than to the state-sponsored anti-Semitism of the former Soviet Union." In February 2007, graffiti appeared showing Anne Frank with a keffiya. Other distortions of Anne Frank’s memory have also come out of the Netherlands. In Amsterdam in February 2007, graffiti appeared showing Anne Frank with a keffiya. In 2008, the same picture was turned into a commercial postcard. That despite the fact that the majority party in the only Palestinian parliamentary elections in 2006 was Hamas, which aims for genocide of the Jews. In 2006 a Belgian-Dutch Muslim Group posted a cartoon of Anne Frank in bed with Hitler. The motif of the Palestinian Anne Frank returns regularly. It recently appeared on posters and flyers at Wits University in Johannesburg. It was promoted by the Palestinian Solidarity Campaign during Israel Apartheid Week. In 2017 a freelance guide at the Anne Frank Center in Berlin compared the suffering of Jews under the Nazis to that of Palestinians under Israeli control. The center distanced itself from his statement. Steven Goldstein, the director of a small American organization which calls itself the Anne Frank Center for Mutual Respect regularly attacks Donald Trump. He is entitled to his opinion. Doing so on behalf of a center named after Anne Frank however is abuse of the memory of a deceased person who cannot defend herself. The above is only a small selection out of a huge distortion complex concerning the famous young Jewish woman murdered in the Shoah. Unfortunately, one can be almost sure that if this article is updated in say a year from now it will include a number of new examples of the abuse of Anne Frank’s memory.